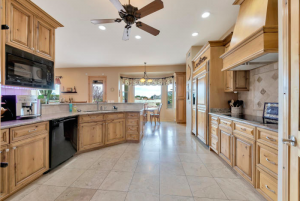 Home Mesa News Elegant Custom Home in Mesa! To view this house contact Azita Sajjadi, Coldwell Banker Residential Brokerage at 480-334-0004. 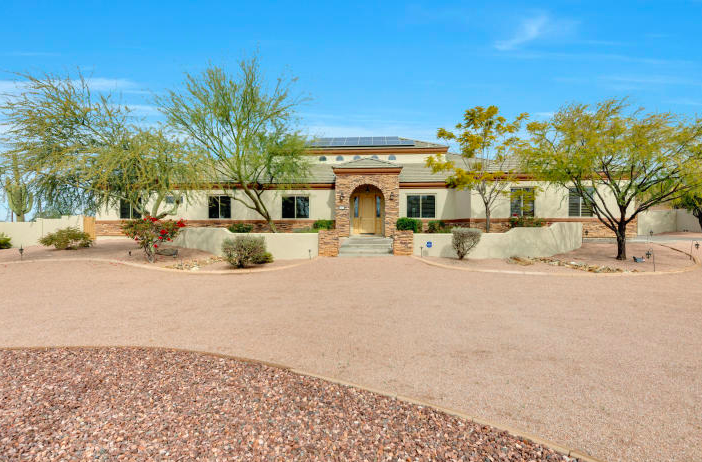 Nestled on a large, private lot, surrounded by endless desert & mountain views. The chef’s kitchen is filled w/ gorgeous alder wood cabinetry, granite counter tops, all stainless steel appliances, double ovens, & walk in pantry, breakfast bar. Large great room with fireplace is perfect for entertaining while you will enjoy the Exquisite & Luxurious Master Retreat w/ French doors, coffered ceilings & jetted soaking tub. Guest quarter features living space, bedroom, luxurious bath, walk in closet & separate entrance. 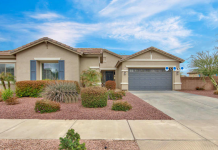 All the bedrooms are located downstairs while enjoy the oversized loft/game room upstairs w/3/4 bath, walk in closet & a large deck with breath taking mountain views & Arizona’s gorgeous sunsets. Don’t forget about the newer interior and exterior paint, and all new windows on the lower level of the house with a transferable lifetime warranty. The owners have also updated the floors, to tile, in the office, stairs and the entire second floor. This is truly a wonderful home! 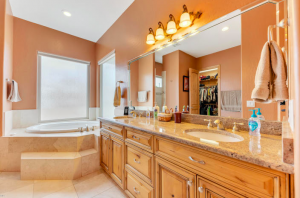 Previous articleBeautiful 3 Bed, 2 Bath Glendale Home Featuring a Sparkling Pool!